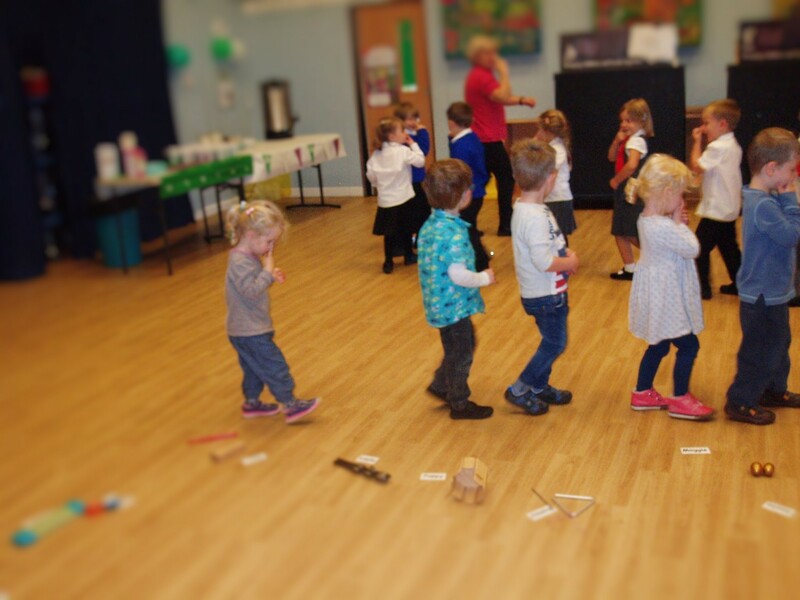 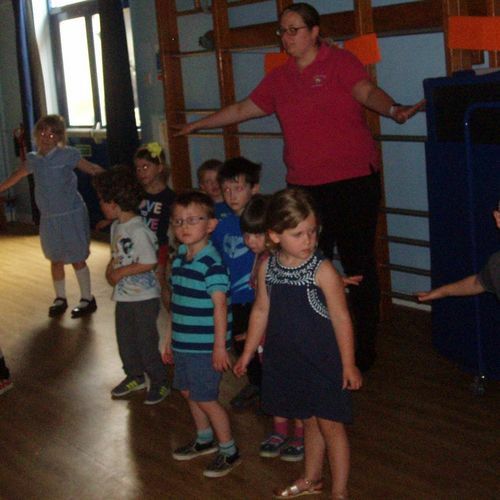 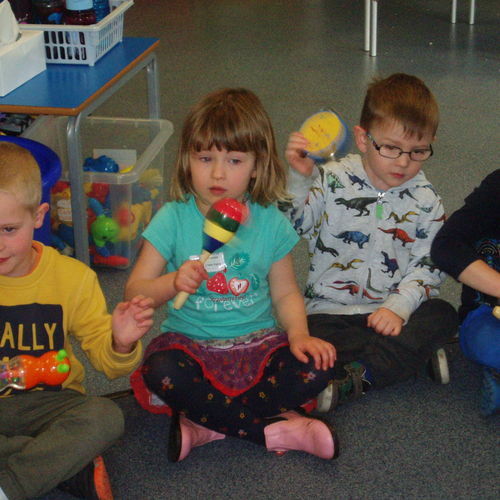 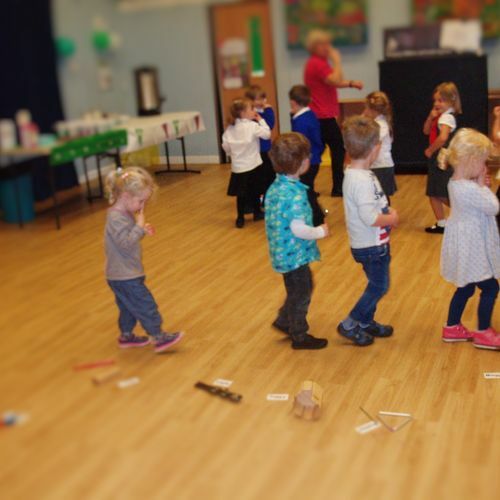 Our children enjoy regular music sessions with Bridget, whose previous role was Primary Schools' Music Coordinator for Caerphilly County Council. 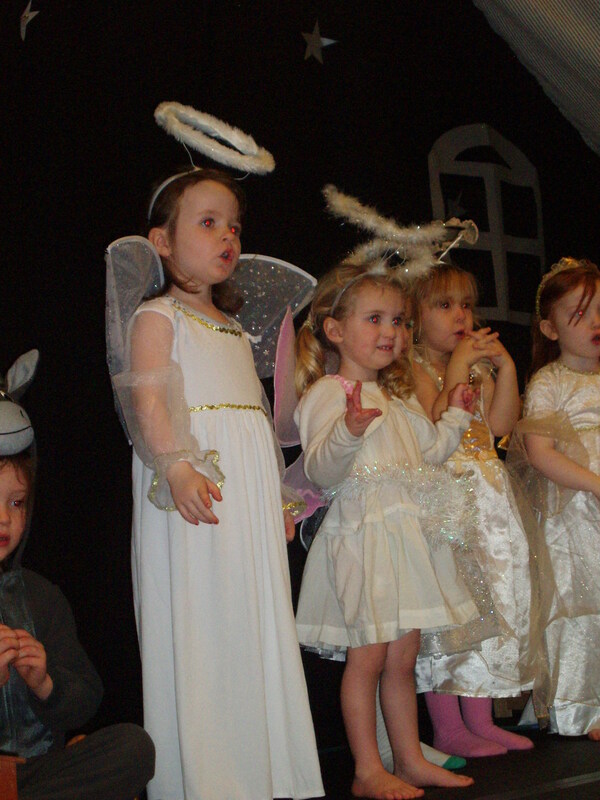 She uses her expertise to foster a love of music and the Arts at Tiny Beginnings. 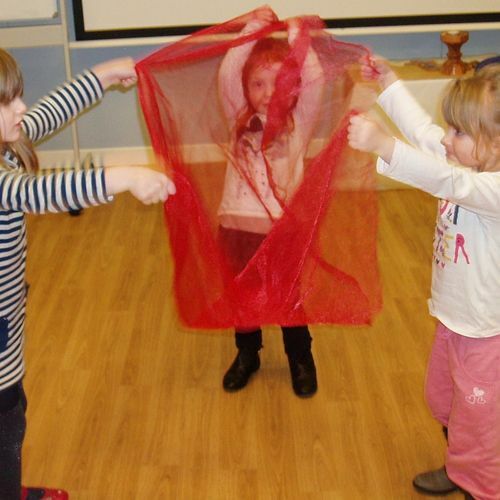 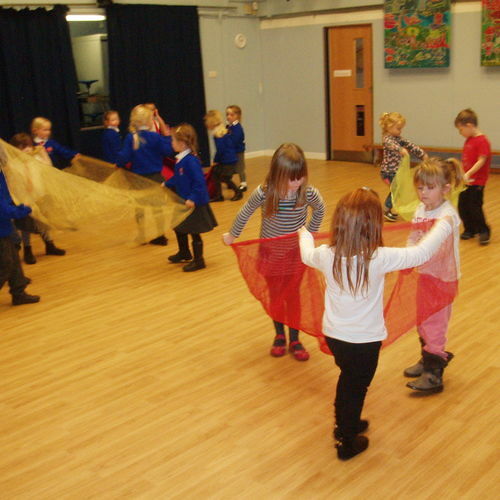 Children who will be making the transition to school the following year join reception children in Whitchurch Primary (who formed part of our nursery cohort the previous year) in the school hall for weekly sessions. 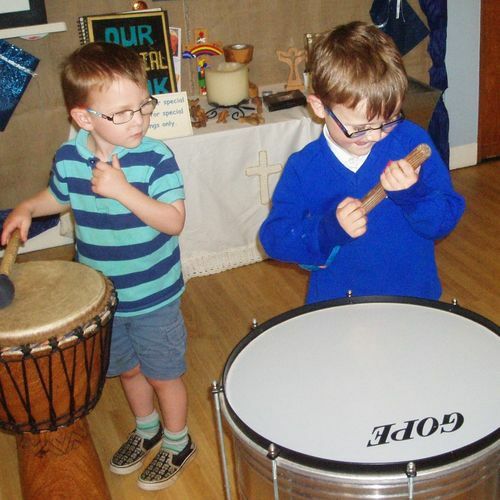 They sing, dance, play untuned and tuned percussion instruments using a variety of musical resources. 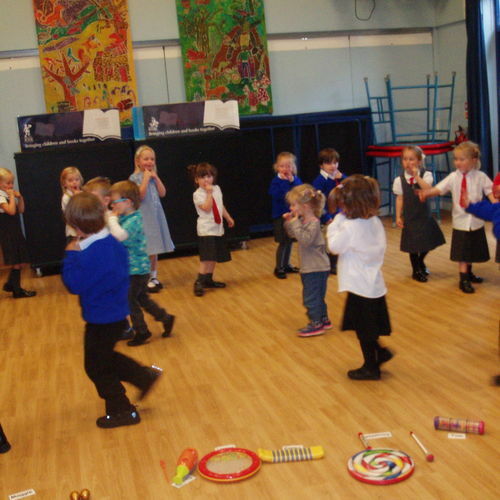 They listen to music from their own and other cultures, both old and new. 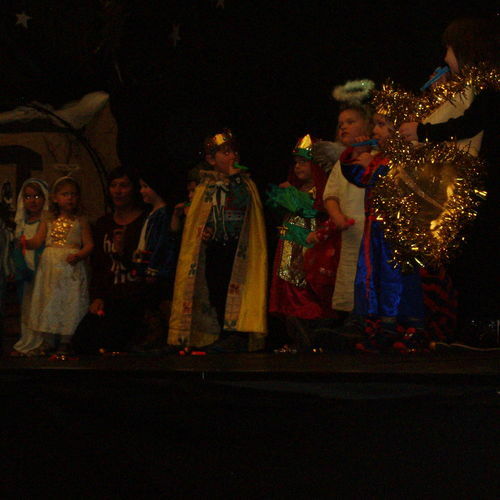 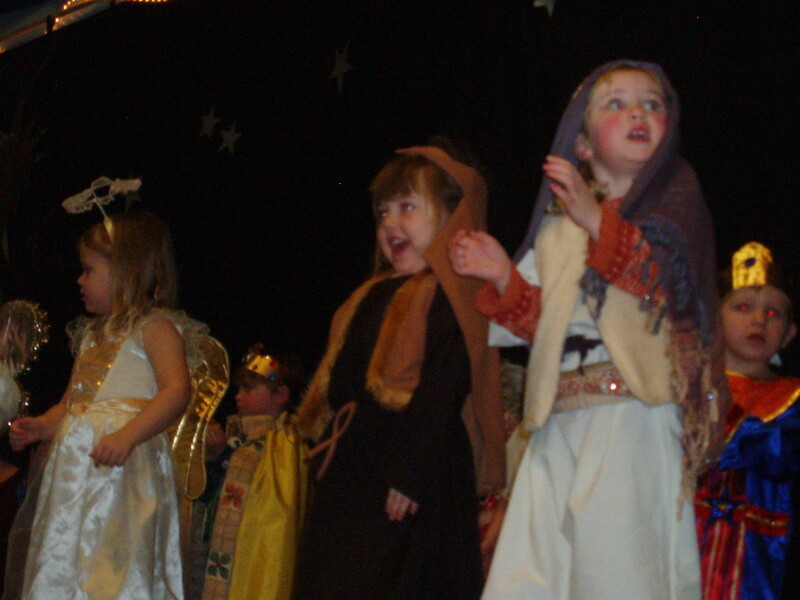 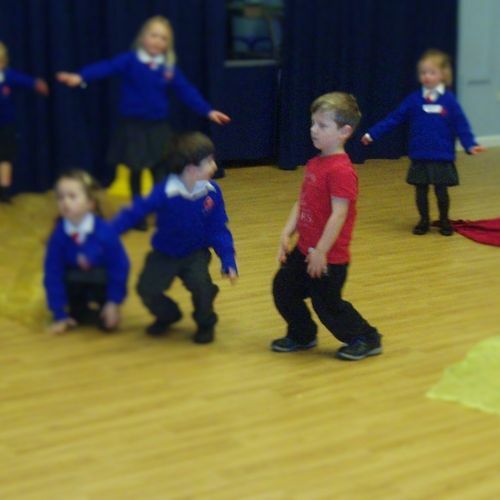 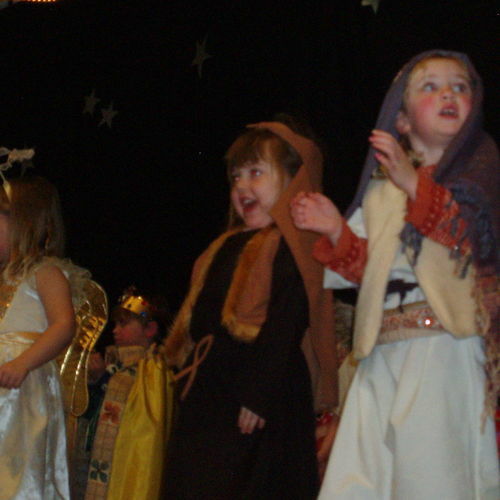 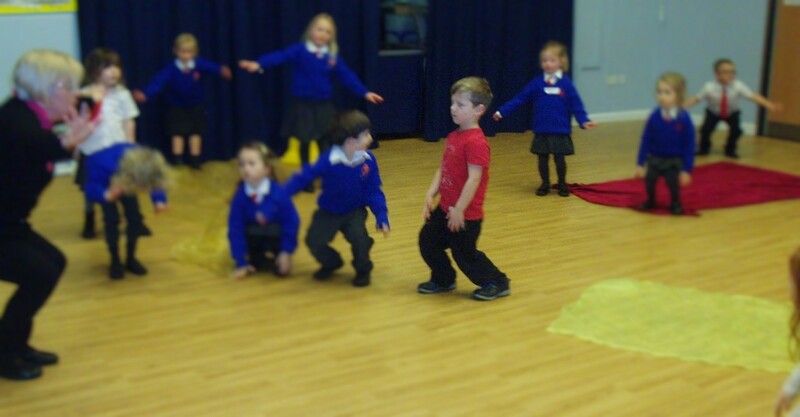 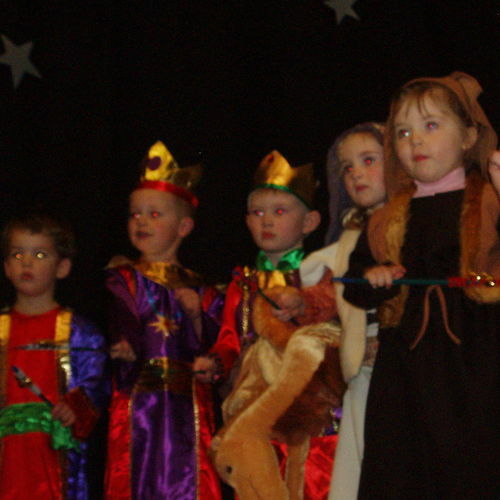 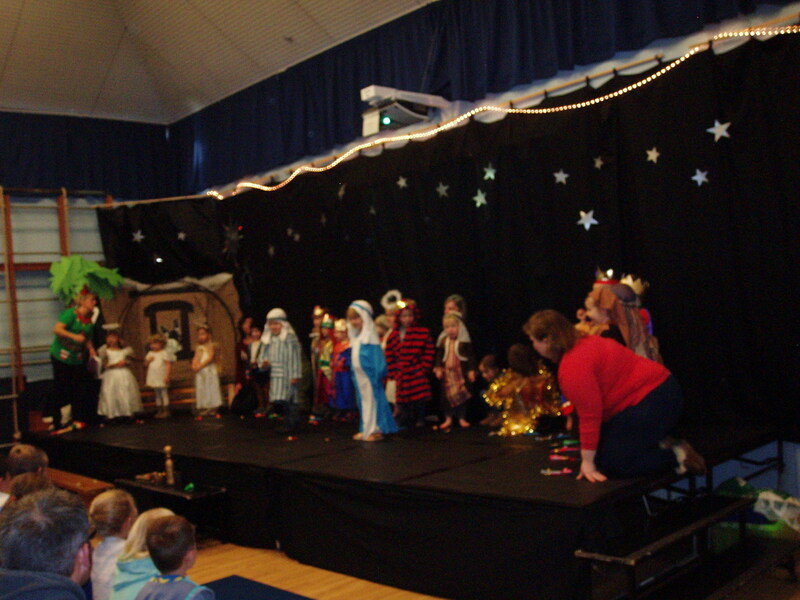 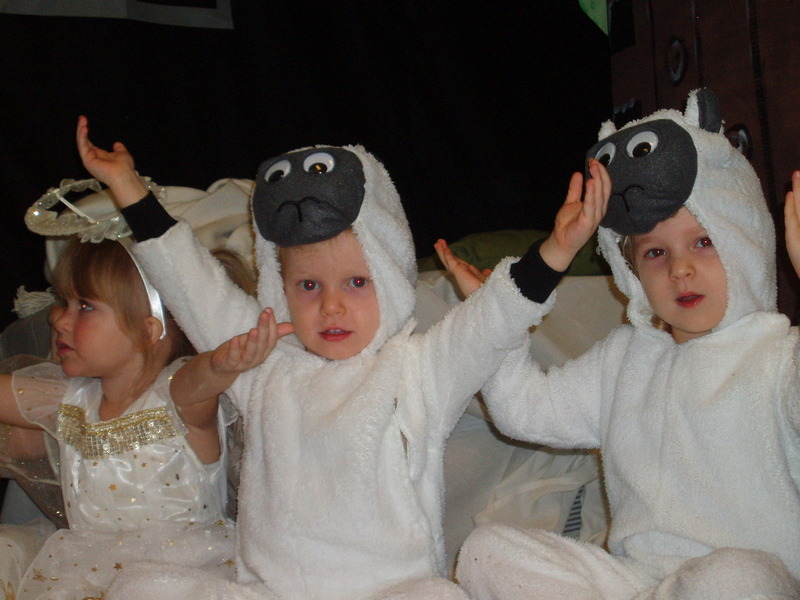 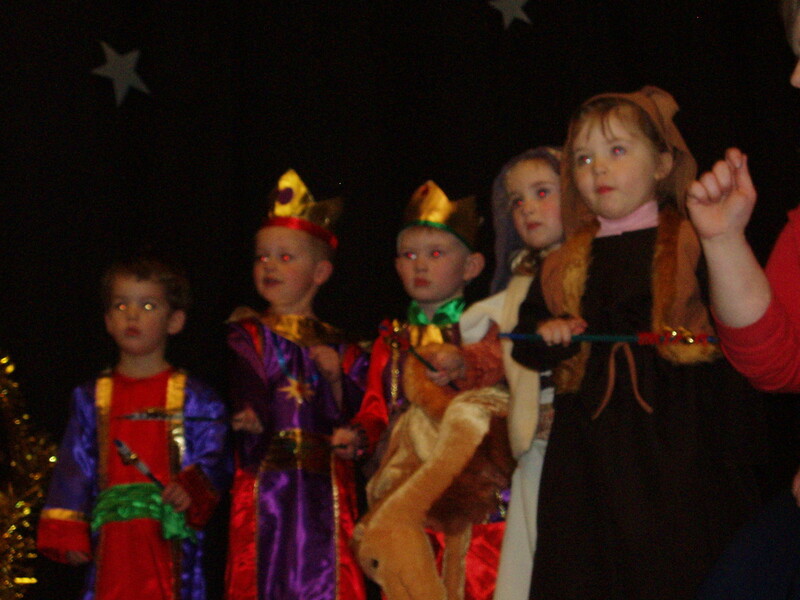 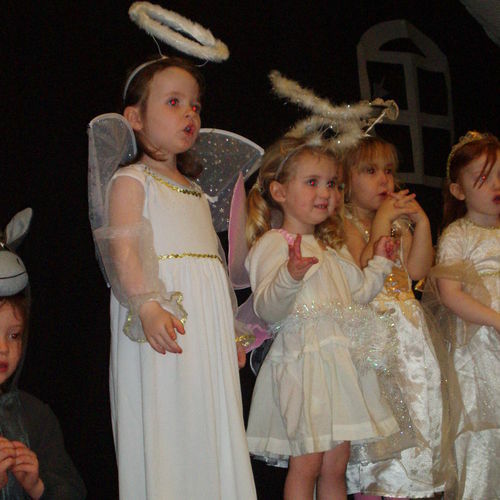 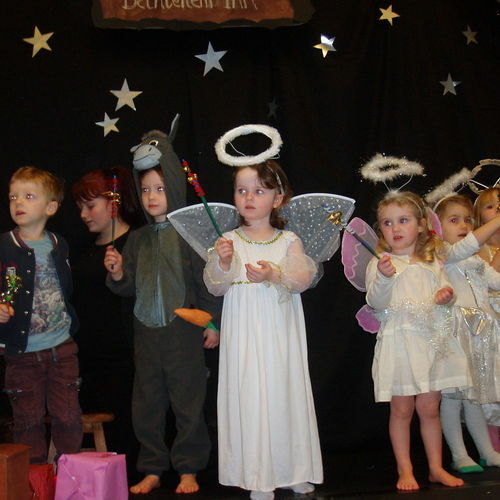 Our children sing and dance in nursery too with Lynette, Kelly Katie and Emma and especially love Christmas when they get the opportunity to perform to their parents and siblings on a real stage! 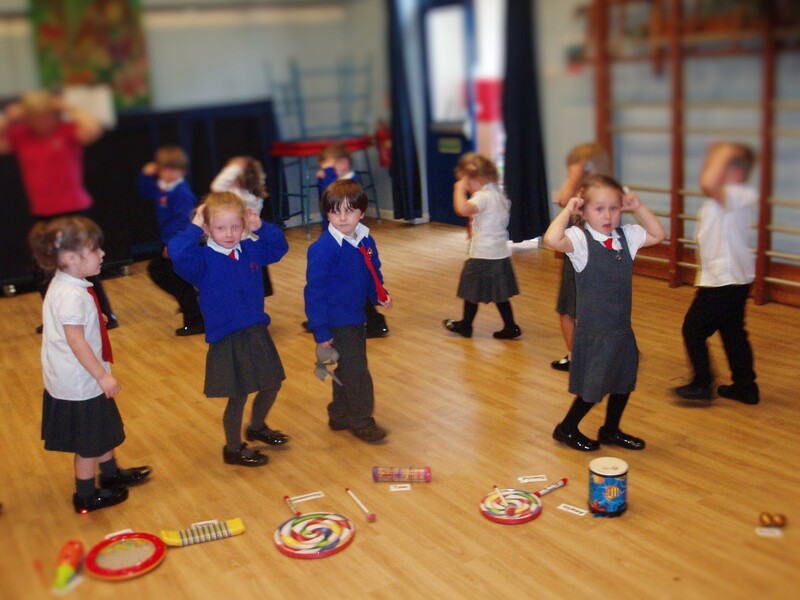 We have always considered music and the Arts a means of enriching the children's well-being and regularly witness levels of confidence visibly improving as a result of these sessions. 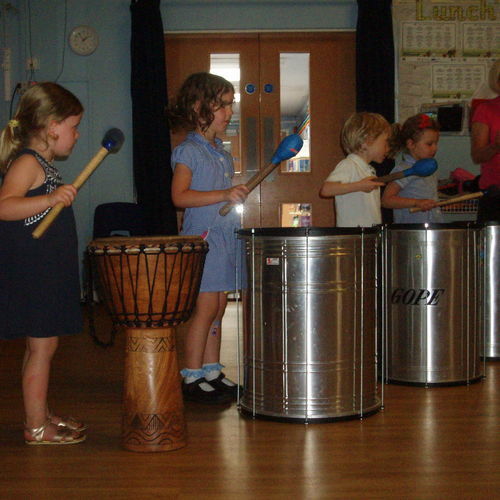 Children are encouraged to participate both inside and outside and enjoy sharing their music with people in the community. 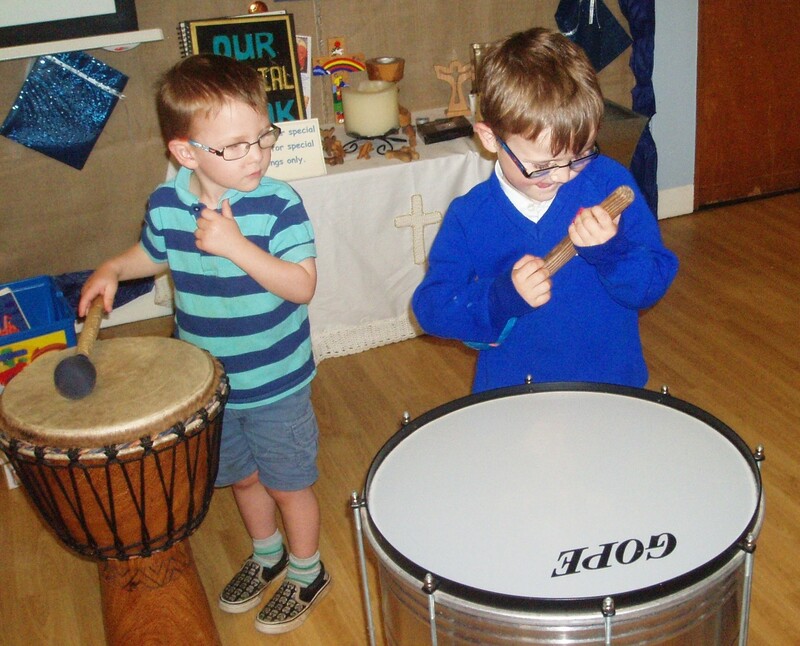 Brothers... one in nursery, one in reception, join to beat the drums... or pretend they're guitars!! 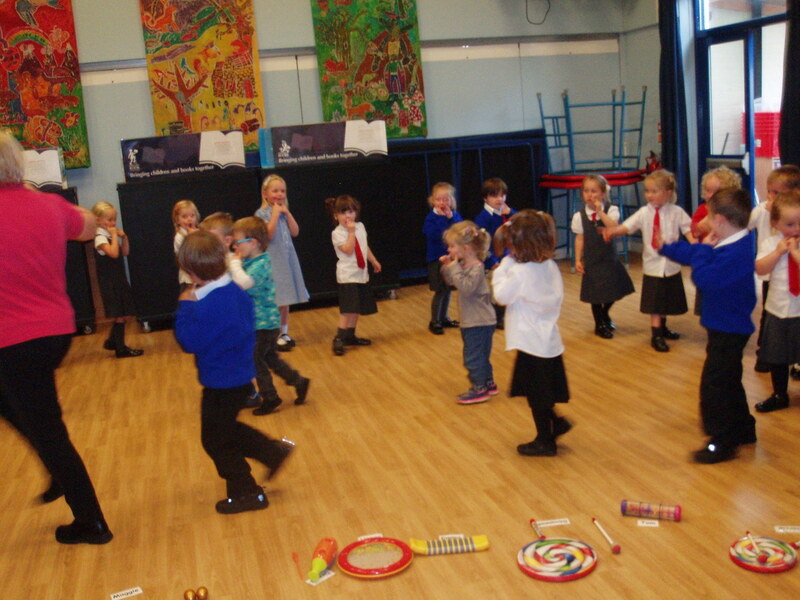 We regularly join with reception, who were our nursery friends last year, and make lovely music together. 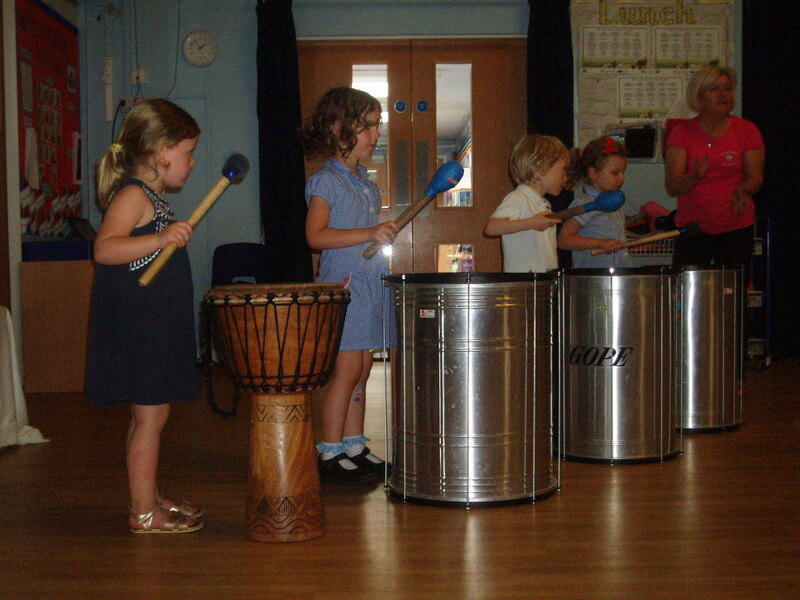 The school has samba drums which we love to use! 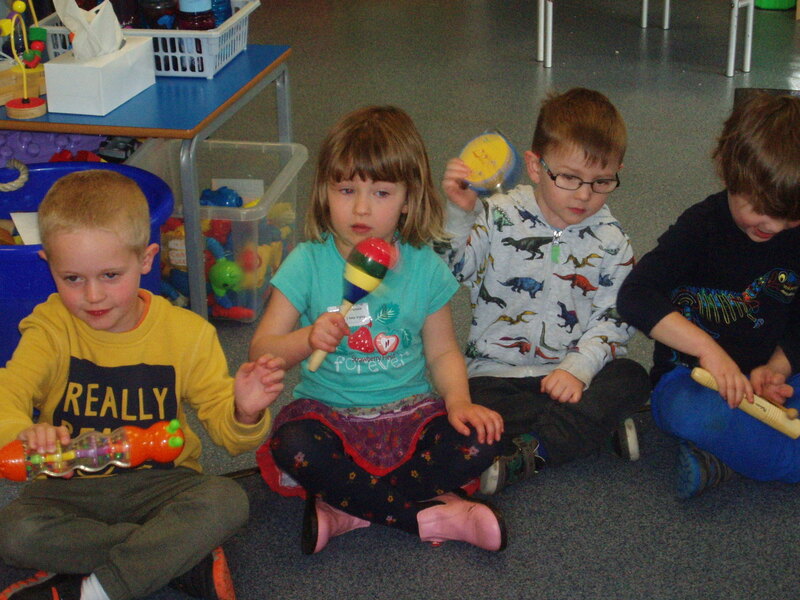 We used kazoos to enhance our songs! 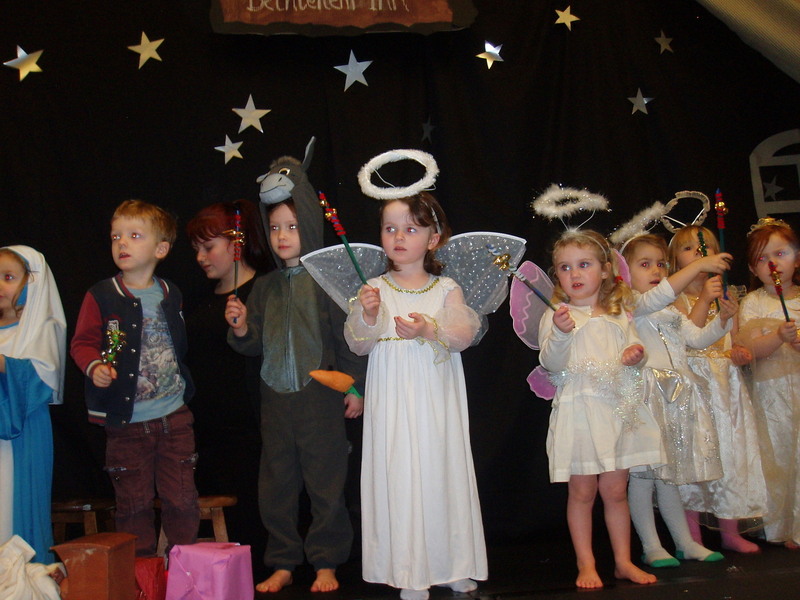 We loved rocking along with our Christmas bells. 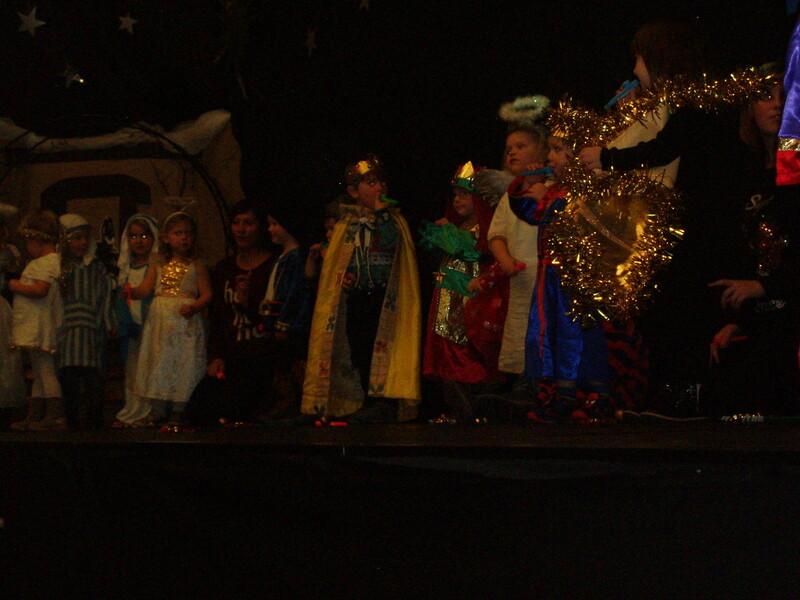 Some of us needed a little help on stage. 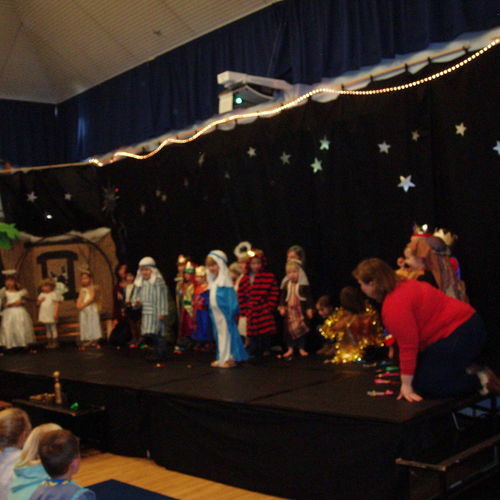 Christmas 2016... Our first venture into stage performances for Early Years. 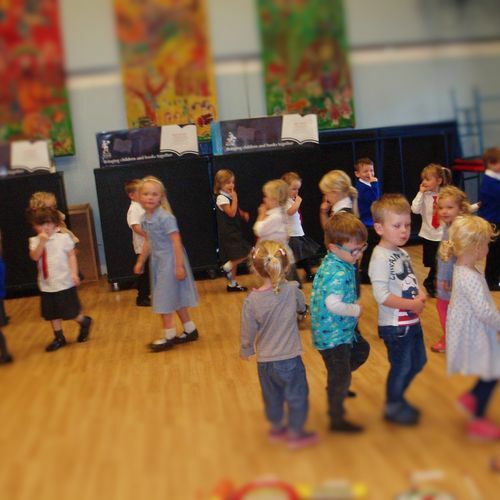 We just love to sing! 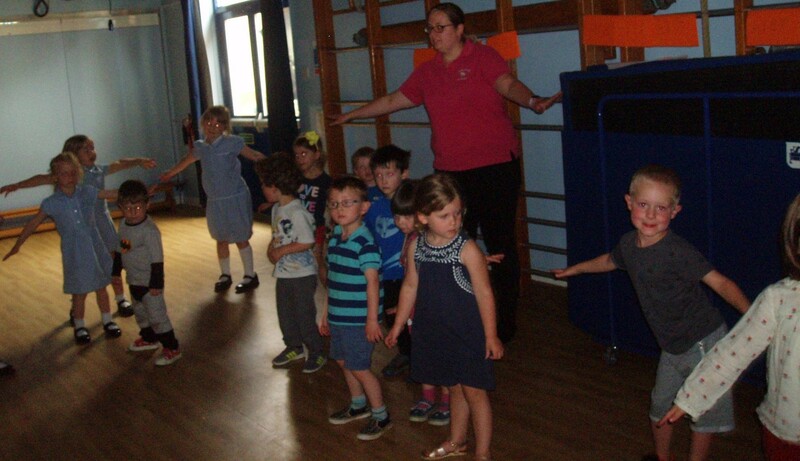 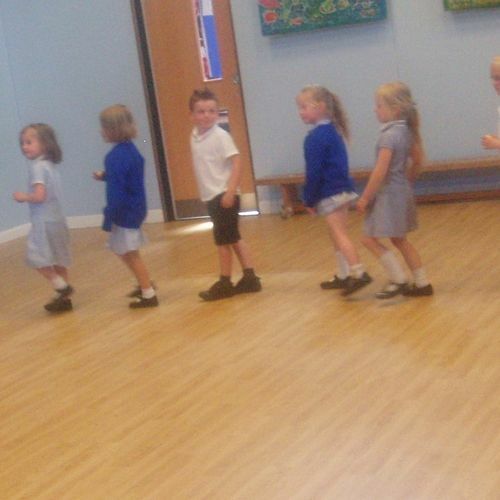 Heads shoulders knees and toes... conga style! 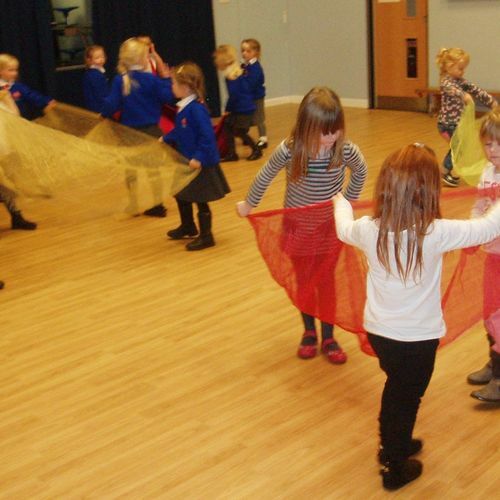 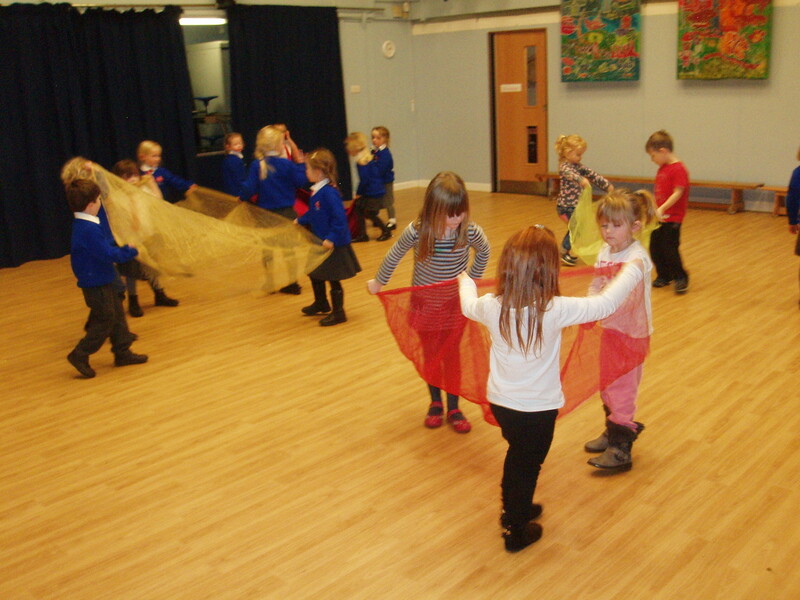 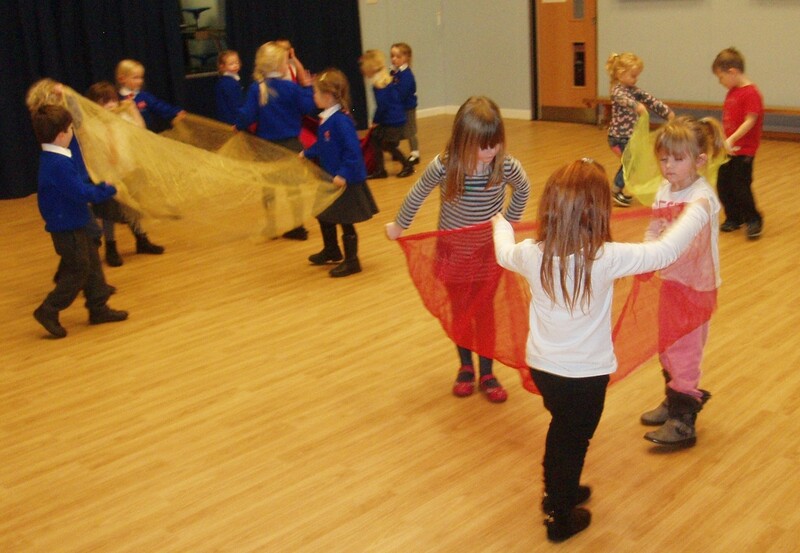 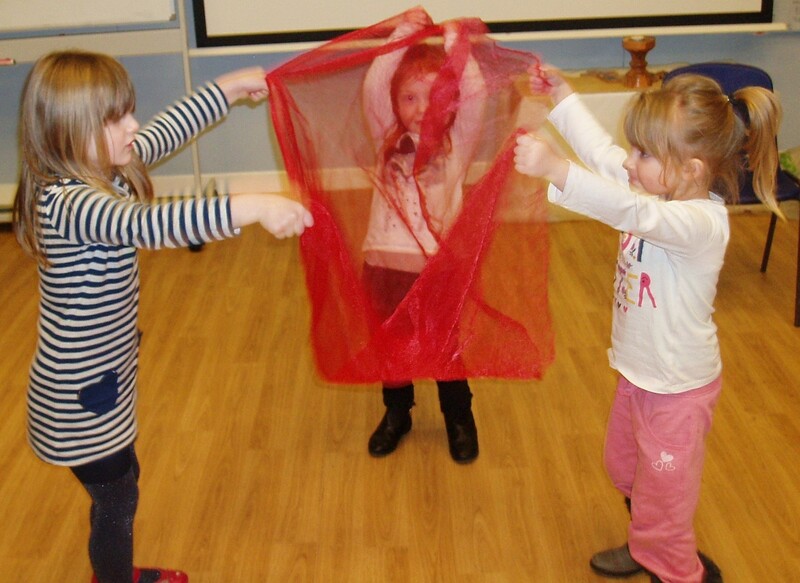 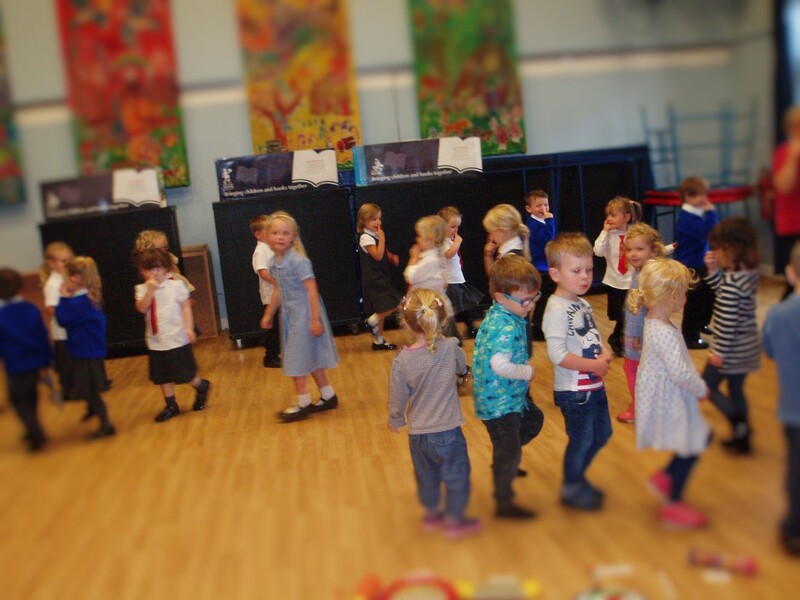 Nursery children love to join in with their friends from last year. 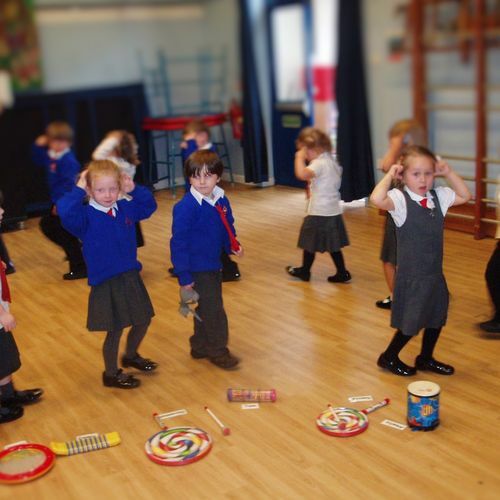 Put your fingers on your head, on your head..... encouraging close listening..